Thrive Bible Study Book includes a small group experience for six sessions, applicable Scripture, key word study, and a life application section called "Live It Out." This timely study of the Epistle of Paul to the Philippians teaches that God did not create us merely to exist or to be dutiful workers, but to thrive in a life of joy. Prayer is an opportunity to experience joy. The fact that Jesus has forgiven us produces joy. And sharing that fact with others produces even more joy. Finally, when we focus on Christ and doing His will, joy and peace will flood our lives as we join God in His work by allowing Him to work through us to benefit others. The joy the Apostle Paul described to the Philippians makes it possible for believers to live in love and humility, even as Christ did, in the harshest situations. In this way believers can become more and more like Christ. 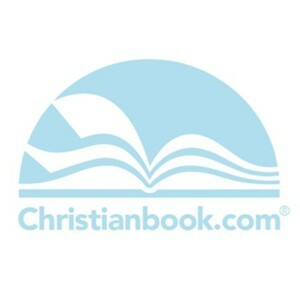 &bull; Help believers recognize and celebrate the joy of knowing Christ. &bull; Create a sense of expectancy related to Gods work in the lives of group members. &bull; Help believers understand and trust the joy of serving Christ. &bull; Encourage greater personal devotion. &bull; Get biblical insight for your life&hellip;today. &bull; Use content to develop new leaders. Tony Merida is associate professor of preaching at Southeastern Baptist Theological Seminary in Wake Forest, North Carolina, the founding pastor of Imago Dei Church in Raleigh, North Carolina, and a prolific author and blogger. He and his wife, Kimberly, have five adopted children. 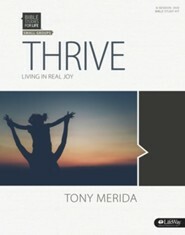 I'm the author/artist and I want to review Bible Studies for Life: Thrive Bible Study Book.